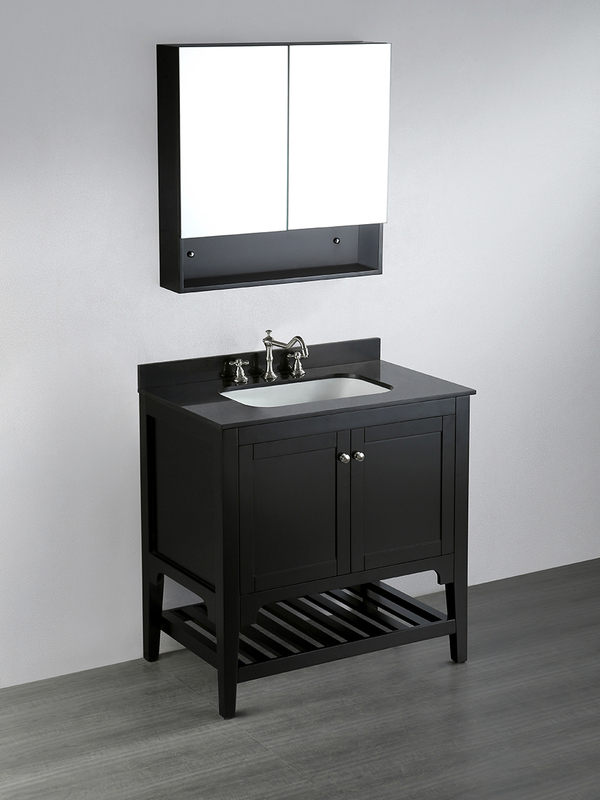 Create a simple, modern look for your bathroom with the 33" Ontario Single Bath Vanity. Designed with a neat, yet efficient design, this vanity boasts a double-door cabinet with soft-closing doors and a cabinet-wide towel rack underneath for an attractive way to store your clean towels. Each door is decked with a silver finished knob. 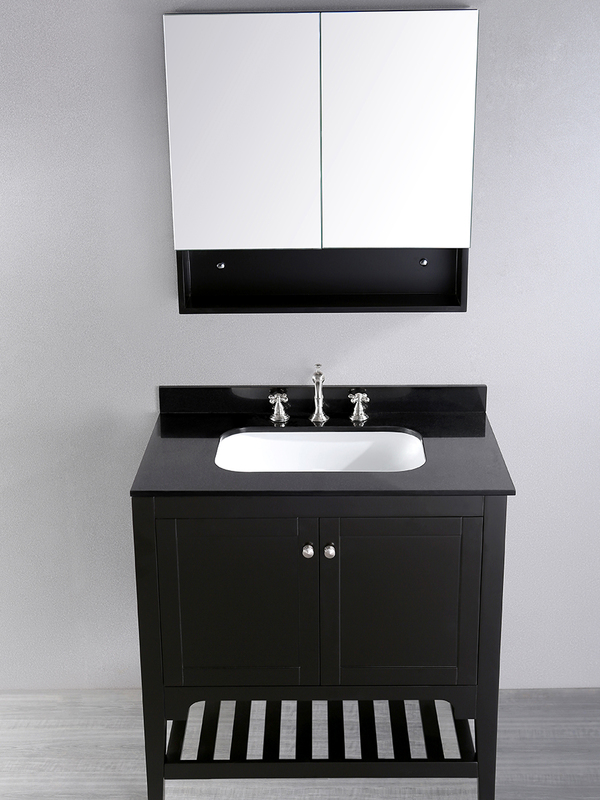 The solid Black finish of the entire cabinet works well the Black Granite top. 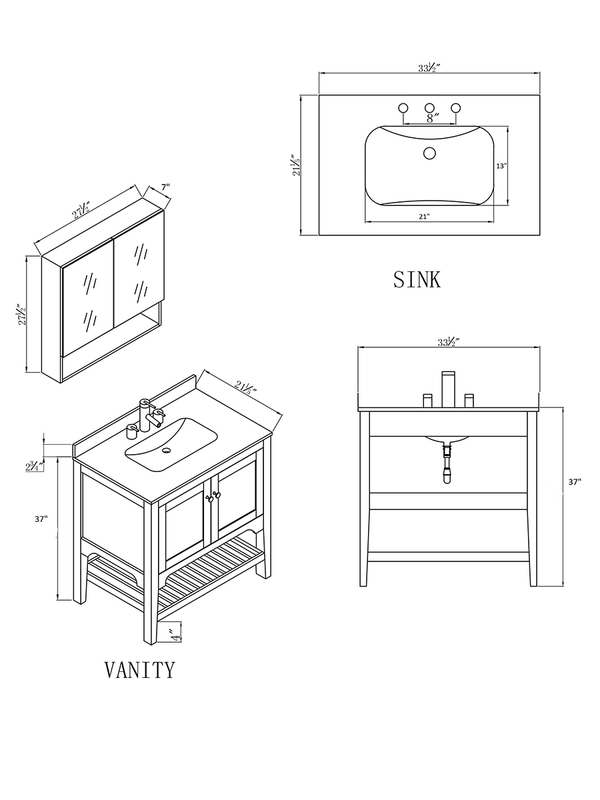 Add the optional medicine cabinet for aesthetic addition that's also functional!